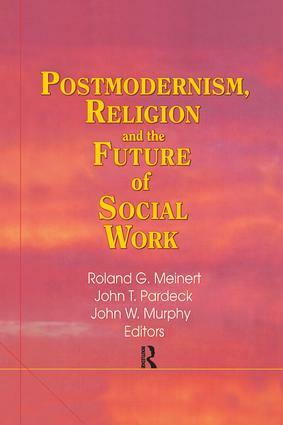 Postmodernism, Religion, and the Future of Social Work discusses the benefits and disadvantages of the postmodern philosophy as a foundation for social work and human service practice. Social work students and practitioners will learn about the developments that have shaped postmodern thinking as they pertain to society in general, as well as to the profession of social work. By exploring this increasingly popular philosophy, Postmodernism, Religion, and the Future of Social Work provides you with methods and theories that help you evalute contemporary problems more effectively, resulting in better services for your clients. Although postmodernism offers a new and different way of understanding social problems and of structuring social work practice, this text urges you to be critical in the evaluation of its aspects and outlines some possibly negative outcomes in certain situations. In evaluating postmodernism and its relevance to social services and social problems, Postmodernism, Religion, and the Future of Social Work offers theories and research into methods that go beyond traditional practices to assist you in providing effective and relevant services for your clients.